This item is no longer available. Please check out Oreck Upright type CC Vacuum Bags for a comparable substitute. 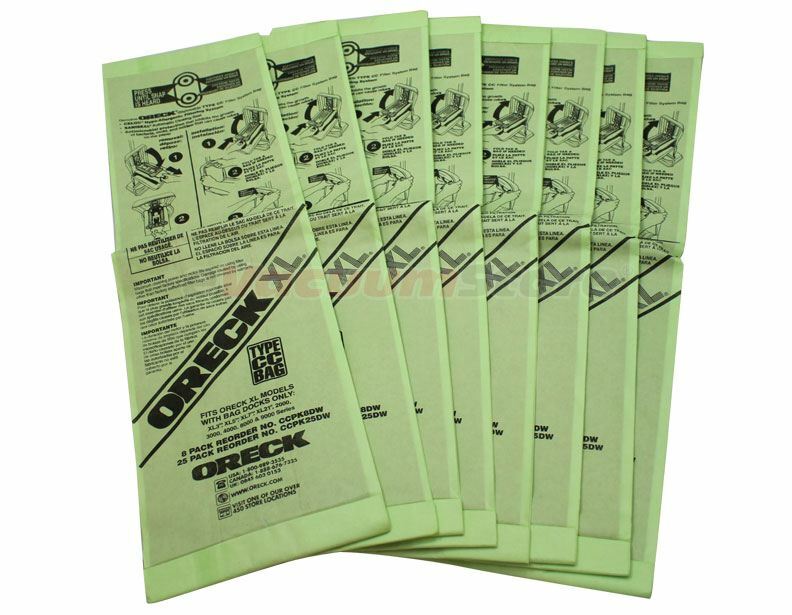 Oreck Upright Type CC Hypo-Allergenic Vacuum Bags Genuine with bag dock. Genuine Oreck Bags. Fits Oreck XL Models with Bag Docks: XL3, XL5, XL7, XL21, and the 2000, 3000, 4000, 8000, and 9000 series. 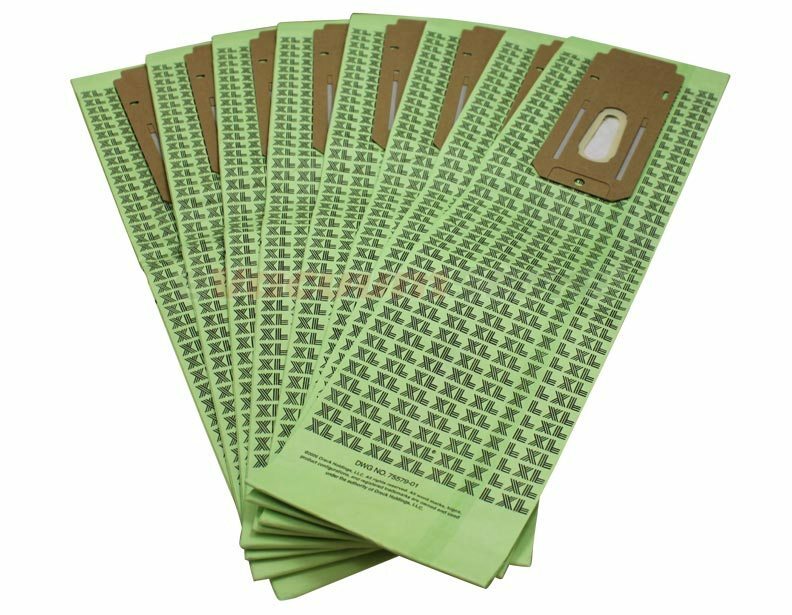 These bags come with Celoc Hypo-Allergenic Filtering System, Saniseal Automatic Closing Seal, and antimicrobial protection that fights the growth of bacteria, mold, and mildew that can cause odors on the paper. These are excellent bags at a great price! Service was excellent and I would'nt hesitate buying again from eVacuumStore!! Thank you, for being so prompt!! Excellent service, best pricing, and very fast delivery!!! This store saves oneself a lot of headaches. No doubts about returning when in need for the next purchase round. Highest of recommendations. Thanks! Answer:These bags will fit if your Signature has a docking system for the bag. Answer:It looks like the model you have is a European model that we do not support. But if the bags look similar than you should give them a try.